Hampton, VA has a wedding venue! First of all let me start out by saying, this Historic Post Office Wedding is the very first wedding we have done at this popular venue. Located in the heart of downtown Hampton, this venue pretty much brand new has made a big name for itself in this area among wedding vendors and brides! Luke and I were excited to shoot at a new venue as well as celebrate Brendan & Samantha’s perfect wedding day. My favorite part of shooting at this place is their beautiful steps and entrance. The colors are so gorgeous and paired so well with the colors Samantha had chosen. Even though it rained on their wedding day, we were still able to get some beautiful pictures in front of the Historic Post Office. Those are the words I would describe Samantha’s taste. Starting from her long sleeved gown to her choice in decor, I was completely in awe of all the beautiful details spread throughout the room that night. 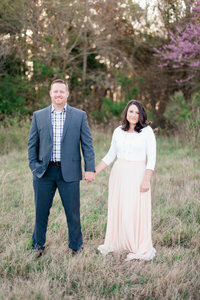 The couple had chosen Greenhouse Picker Sisters as their vintage rental company. They came from Raleigh, North Carolina and every piece of furniture, rug, and morrocan style pillow was carefully picked out and placed in such a beautiful way. This vintage team, along with Kate from Kate Fiore Designs turned the industrial Historic Post Office into a Bohemian Elegant Celebration! You. Me. A rainy afternoon. There is nothing more cozier than a rainy afternoon snuggled up with you love. This is what I pictured with Brendan & Samantha. The coziness and romantic fall of the rain made their day even more intimate and memorable. Rain never bothers me on a wedding day, in fact I think it adds a level of romance and even more intimate detail to the day. It is all in our perspective and embracing what comes. Isn’t that what marriage is all about? Thank-you to the newlyweds! We wish you a lifetime of love & happiness. Thank-you for trusting us to capture your incredible day! I can not get enough of this bride & groom table! Isn’t it AMAZING???? After a night of dancing away.. These two said their goodbyes with a grand sparkler exit! A Huge Thank-you to these Awesome Vendors!